A funny thing happens when you move out of the city. 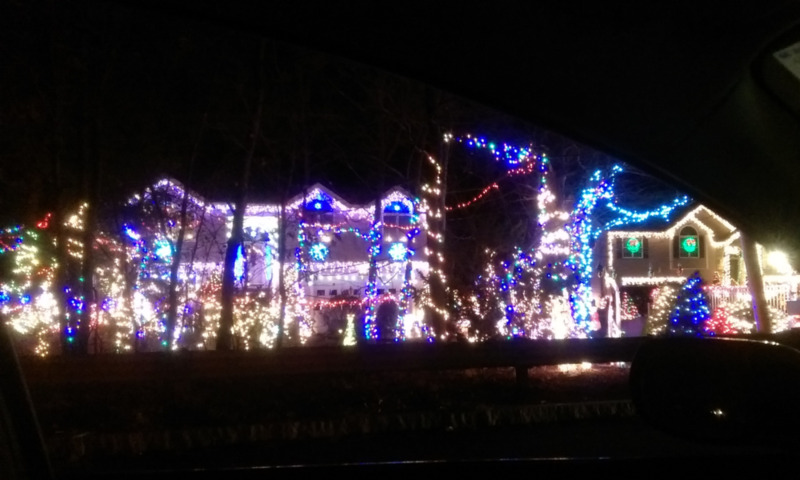 People have land, and room to put up crazy Christmas lights! Tom and I happened upon the best street the other day. It's clear that there's some friendly neighborly competition going on, each house trying to outdo the next. I may find a reason to drive down this street weekly so I can take in all of the lights. It's amazing and like you see on TV, and it makes me want to tell our realtor to forget everything we've told him - we'd like to live on this street! We've put up our own lights, but it's nothing compared to this. Something to aspire to one day I guess - maybe we should buy some extra lights in January when they're on sale! Until then, we're going to enjoy this street for the next month or so, and we'll keep our eyes out for any other hidden neighborhoods filled with lights! Do you put up Christmas lights? Are there neighborhoods like this near you?